Bright Health is a smarter, more connected healthcare experience. 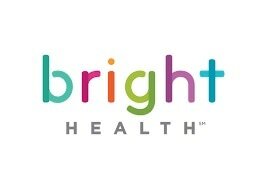 Bright Health offers simple and affordable health insurance that connects Coloradans to top physicians and enhanced care more easily than you ever thought possible. It’s the good-for-you individual health insurance reshaping how you and your doctor achieve better health together. Our new Individual and Family Plans offer a simple-to-use, comprehensive health plan designed to provide you and your family with the comfort and peace of mind that comes with dependable health coverage. Open Access Plan (New! )- flexible in and out-of-network coverage under a national network. No PCP or referral required. Health Savings Plan (New!) - high deductible plans allow you to use a tax-advantaged Health Savings Account (HSA) to help pay for your current medical expenses or save for future medical expenses. In and out-of-network coverage under a national network. No PCP or referral required. The Denver Health Medical Plan, Inc. (DHMP) was created in 1997 to fill a need for affordable health care coverage for employees of the Denver Health Authority and the Career Service Authority. DHMP is an entity of the Denver Health and Hospital Authority (DHHA) and now cares for more than 15,000 lives.